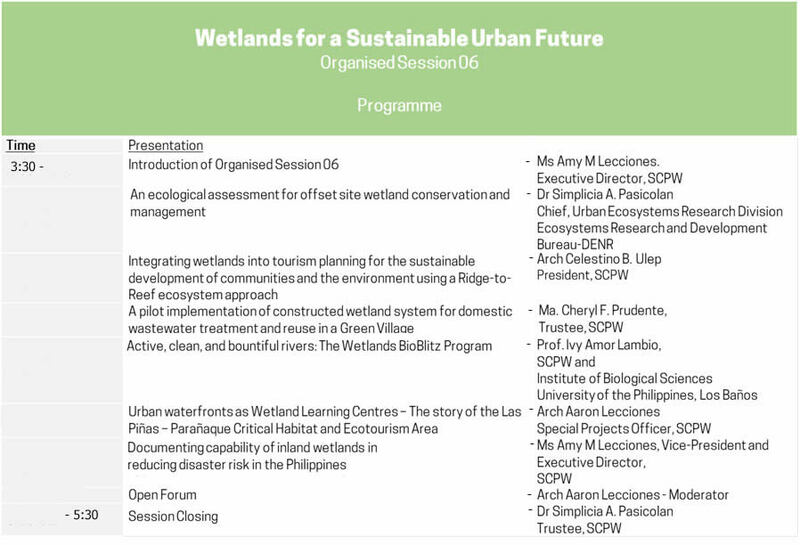 Organized Session 6: Wetlands for a Sustainable Urban Future – The Society for the Conservation of Philippine Wetlands, Inc.
Wetlands are essential for sustainable urbanization. At least half of the world’s population live in urban areas today – about 4 billion people. By 2050, that number is expected to increase as more people move into cities in search of jobs and better opportunities. Urbanisation is a key defining mega-trend of our time. By 2030, there will be 41 megacities with more than ten million inhabitants. Cities today must deliver not only basic services such as accommodation, transport, and water but also be safe, resilient, and environmentally friendly. Urban wetlands are essential in this role and contribute to making cities liveable. During storms, urban wetlands absorb excess rainfall, which reduces flooding in cities and prevents disasters and their subsequent costs. The abundant vegetation found in urban wetlands, acts as a filter for domestic and industrial waste and this contributes to improving water and air quality. Urban wetlands supply cities with water and are green spaces for recreation which helps to promote human well-being. Today`s current development of human settlements is a major concern for wetland conservation and wise use. As cities grow and demand for land increases, the tendency is to encroach on wetlands. They are often viewed as wasteland or are converted for other purposes. Yet when preserved and sustainably used, urban wetlands can provide cities with multiple economic, social, and cultural benefits. They are prize land not wasteland and therefore should be integrated into the development and management plans of cities. 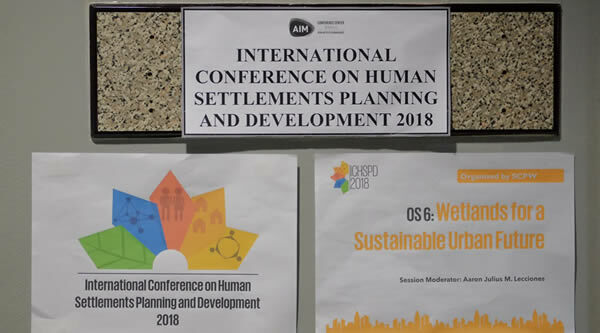 In this Organised Session at the International Conference on Human Settlements Planning Development, the Society for the Conservation of Philippine Wetlands, Inc. (SCPW) presented projects and research conducted in urban wetlands pioneering action and inputs to policy to help conserve urban wetlands through sustainable and wise use. 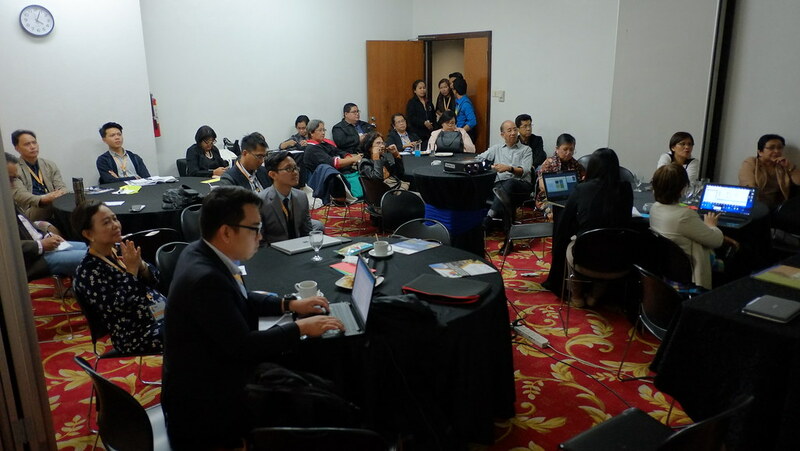 Six projects implemented with various partners were discussed with topics on wetland offsetting, integration of wetlands into tourism planning, wetlands as natural treatment systems, engaging citizen science as a CEPA (communication, education, participation and awareness) tool, designing urban waterfronts as wetland learning centres, and mapping of vulnerable wetlands. 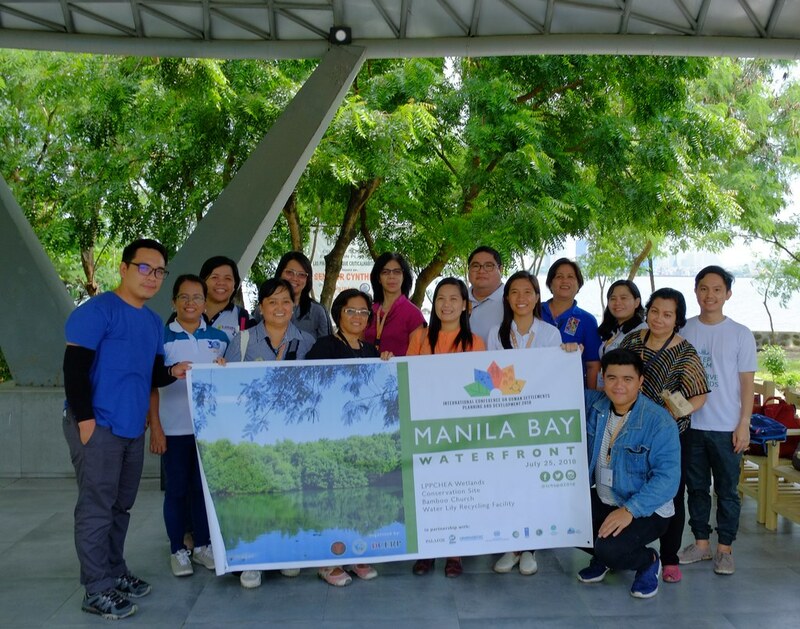 These examples are envisioned to be the catalyst to inspire deliberate action on the conservation and wise use of urban wetlands in the country that will set Philippine towns and cities on a pathway towards sustainable urbanization. A short introduction of the theoretical and practical foundation of the meaning and approach of the SCPW projects and their overall rationale. As cities grow along with infrastructural development, demand for land increases, and pressures on wetlands also intensified. With this, an ecological assessment is important to have a sufficient and accurate ecological data to come up with objective identification, science-based prediction, and evaluation of the potential ecological impacts (Environmental Protection Department, 2011). The North South Commuter Railway Project will acquire 13.822 hectares of the property of National Food Authority (NFA) to be used as exclusively as a train Depot. The site is a vacant area at the boundary of Meycauayan and Valenzuela and is covered with grasses and becomes swampy during the rainy season. The Environmental Performance Report and Management Plan (EPRMP) of the Project indicates that as a mitigating measure, wetlands offsetting should be conducted. Wetlands Offsetting is a “measurable conservation outcomes resulting from actions designed to compensate for significant residual adverse impacts on wetlands” (Macfarlane, et al., 2014). It follows the concept of “no net loss” of wetland area and/or ecological character overall, at a given geographical scale (Ramsar, 2012). 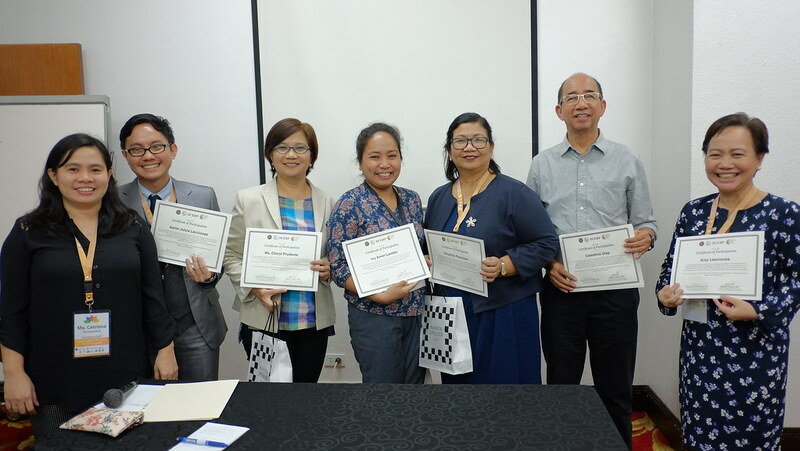 The SCPW, through a set of criteria and various methods, found an offset site which is 15 hectares of the 135 hectares contiguous farm land in Barangay Paligui, Candaba, Pampanga owned and managed by Macagatal Irrigators Association (MIA). 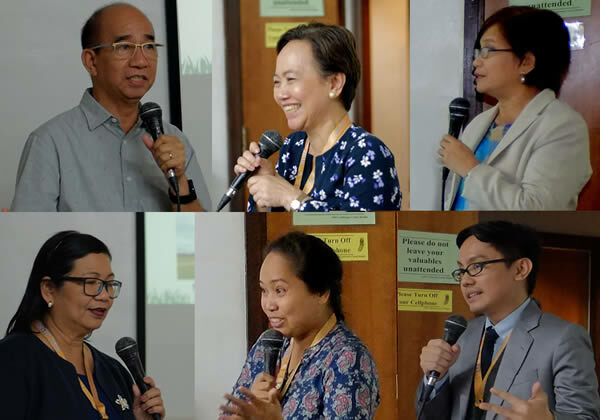 Complementary to this, the SCPW embarked on activities such as ecological assessment, which also include ecosystems services, on the Valenzuela wetlands and the offset site. This characterization also aid in recommending for measures to manage and conserve the offset site. With the threats to wetlands worldwide, there is a need to gather information to be able to manage these ecosystems better. Wetland offsetting is a good measure to facilitate sustainable management of resources along with development. However, avoidance is still a priority, and compensation or offsetting should be the last resort. Wetlands provide a variety of ecosystems services including tourism and recreation giving economic contribution for the government, tourism industry itself, and even local communities (Ramsar &UNTWO, 2012. However, tourism development may create environmental and social pressures that can impact wetlands when mismanaged and unplanned (Van der Duim & Henkens, 2007). Thus, sustainable tourism should be employed to lessen those pressures in wetlands. In the country, Bacnotan in La Union is one of the sites which has a lot of potentials when it comes to tourism. With current government alignment towards reinvigorating tourism in the country and favourable business opportunity in neighbouring towns, tourism in Bacnotan must be harnessed as an engine of socio-economic growth for the community but must also maintain its environmental integrity. The SCPW has been selected to provide the consultancy services for the preparation of the Bacnotan Tourism Development Master Plan (BTDMP). The overall approach to this project is community-based tourism development master planning. Moreover, Ridge-to-Reef (land-sea linkages) and other ecosystem approaches including the wise use of coastal areas and other natural and wetland resources is being employed. This approach makes natural resources centre stage in complementing all existing tourism resources. It is assessed that green or eco-tourism can contribute to the nature conservation as well as poverty reduction. To effectively carry out these goals, ecologically sustainable, culturally sensitive, economically viable, and socially equitable for local communities tourism industry should be also promoted. To add, tourism development plans should be integrated and compatible with wetland management plan (Ramsar & UNTWTO, 2012) which consider resources from ridges to reefs in advocating for wise use and biodiversity conservation. 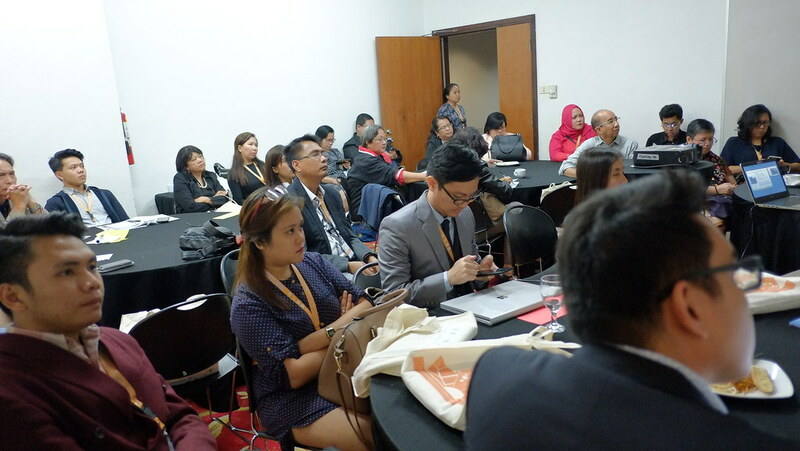 Moreover, Communication, Education, Participation, and Awareness (CEPA) strategy for the key local stakeholders is vital in pushing towards a sustainable tourism. Constructed wetlands – or so called Green Filters – are a “natural’ way of treating sewage. Green Filters are artificial, plant based wastewater treatment systems that can be described as water channels whose surface is covered with aquatic plants or a natural system of floating macrophytes. The channels are often filled with gravel, sand or soil. Green Filter Systems have a very low environmental impact and even contribute to landscape aesthetics by attracting species associated with natural wetlands. 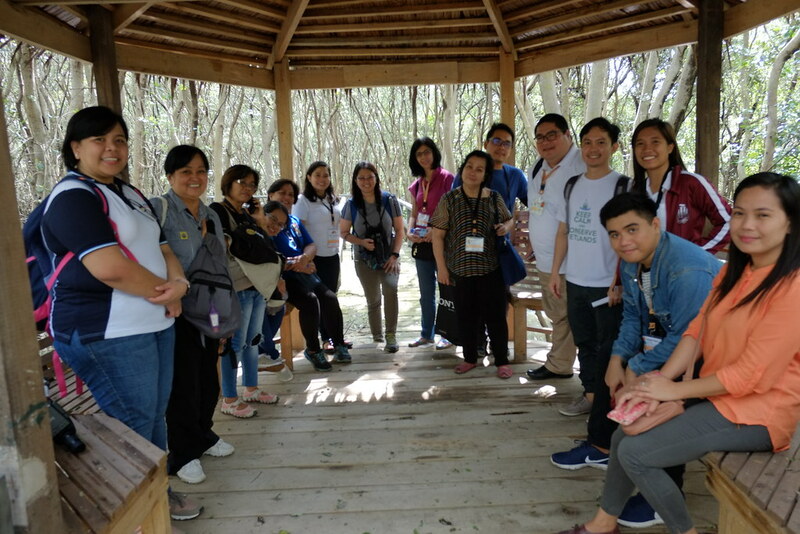 The Green Filters Project was implemented by the Society for the Conservation of Philippine Wetlands, Inc. (SCPW) in partnership with the Life Project 4 Youth (LP4Y), with the support from the Global Nature Fund (GNF). The project site was at the LP4Y’s Green Village, Makati Homeville, Brgy. Dayap, Calauan, Laguna. It involved the construction of a Green Filter and entailed awareness-raising activities for local communities. The project serves as a model to showcase this technology to Local Government Units and to owners of private housing subdivisions. 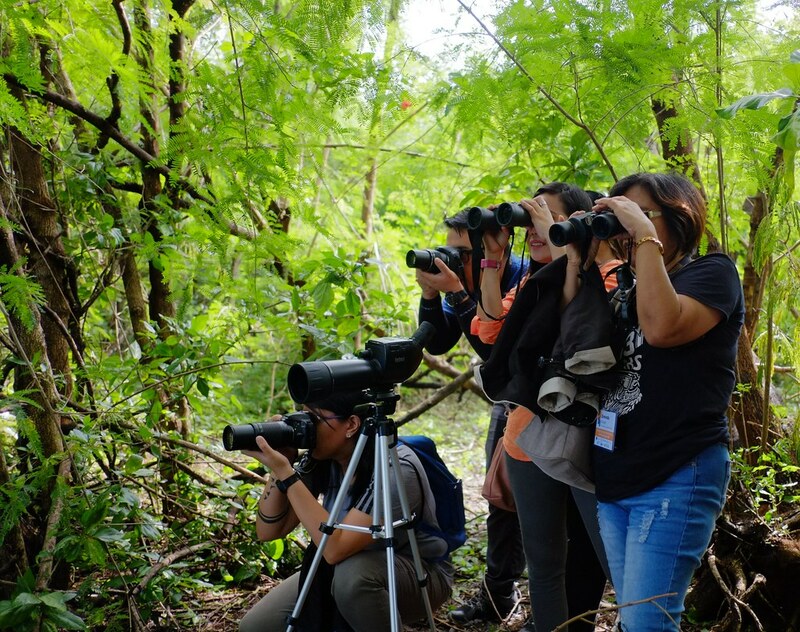 Bird Watching, Mangrove Tour, St. Joseph Bamboo Organ Church, Mall of Asia, Government Service Insurance System, Philippine Senate Building, Philippine National Bank, Cultural Center of the Philippines Complex, Manila Baywalk. 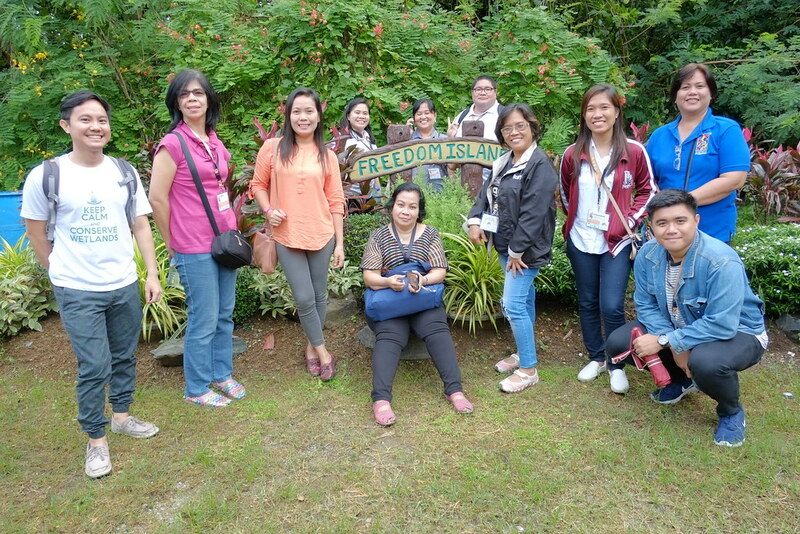 The delegates pose with technical visit organisers (SCPW, DENR-ERDB, DOT-NCR) at the Freedom Island Market, LPPCHEA. 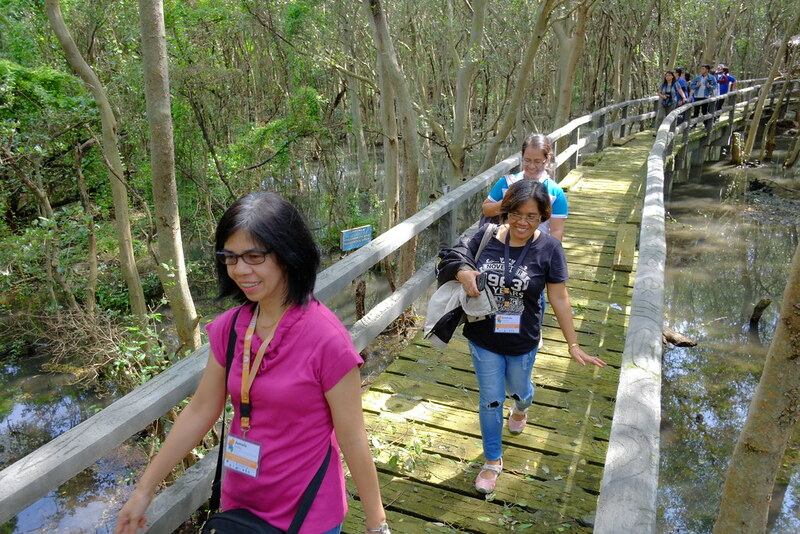 Delegates in search of birds at LPPCHEA. The delegates take a short break during their stroll along the boardwalk. The delegates enjoy the sites and sounds along the boardwalk. The delegates pose for a picture at the Wetland Centre Wave.